What's the best (and easiest!) 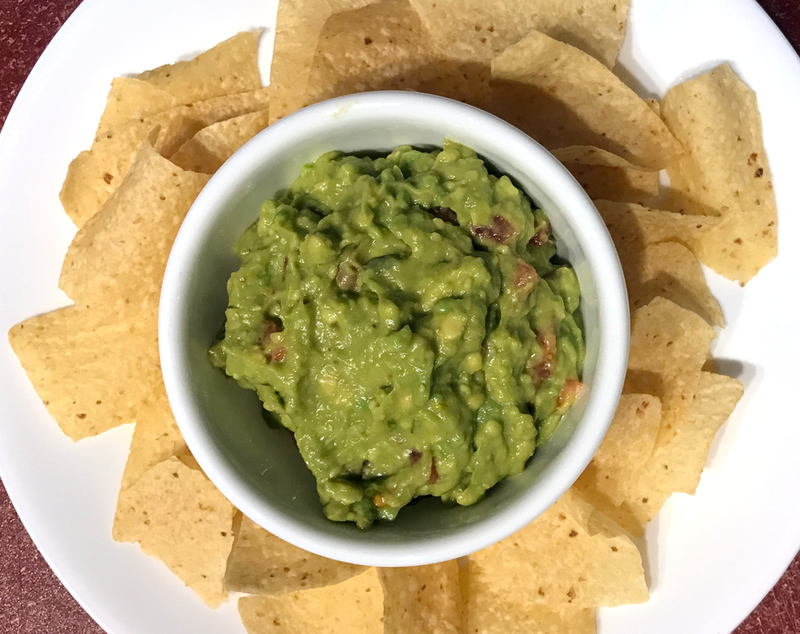 way to keep guacamole from turning brown if you make it in advance of a meal or party? The Internet is filled with answers from covering it tightly with plastic wrap, to keeping the pit in the bowl, to using more lime juice. All of these methods get mixed reviews. Then, I came upon this method that was rated positively by everyone that mentioned it: Cover it with water! 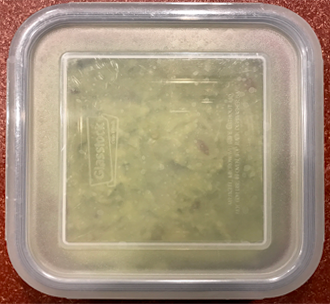 Pack guacamole firmly (to remove air bubbles) and so it is level into a container with a tight fitting lid. I pressed down on the guacamole with a spoon as I was packing it. I have read and seen photos of guacamole stored for about 24 hours this way that remained green. The guacamole in the above photo was stored about 2 hours under water. This was sufficient time for me to get the rest of the meal together and clean up preparation dishes before eating. Plus tidy myself up!